Microsoft has announced its numbers for fiscal Q4 2013, and the numbers are not looking all that great. To paint a broad stroke as to why the numbers aren't looking good, it would be because the real growth segment is mobile, and Microsoft only holds a small piece of that pie. Microsoft announced a total of $4.97 billion in quarterly earnings, but its trouble in mobile was highlighted by the Surface RT losing $900 million which was shown in a write-off for unsold inventory. Microsoft is seeing improvements as revenues were $19.90 billion, which is a 10% increase year-on-year from fiscal Q4 2012. But, Microsoft's net income was effectively wiped out because of a $6.2 billion write-off related to its 2007 acquisition of aQuantive. 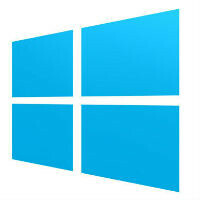 Microsoft's Windows division posted revenue of $4.4 billion, a 6% increase year-on-year. The Windows numbers got a boost from Microsoft's Upgrade offer, but took a hit because of the Surface RT failure. Things are precarious for Microsoft because it is in the middle of a massive pivot from PC to mobile, and has a major corporate restructuring plan going into effect as well. But, Windows Phone helped to post one of the bright spots for Microsoft. The Entertainment and Devices Division (EDD) saw its revenue increase $134 million, or 8%, and Microsoft says this is "primarily due to higher Windows Phone revenue". Patent licensing revenue and sales of Windows Phone licenses increased $222 million for the quarter as well. In one sentence .. THANK YOU NOKIA.. Windows phone is dead without Nokia. It's Windows RT that lost 900 Million, not Windows Phone. To very different things. "Microsoft announces quarterly earnings: Surface RT loses $900M, Windows Phone gains $222M" How could WP gains without Nokia, which has a market share of more than 80%, and sold 7.4 million Lumia last quarter ?!!. Ah, I thought you were talking about the total lose/profit of the windows platform. lol true, profit margin ? There wasn't any market for Surface RT since it has so many restrictions. I hope MS will launch Surface Pro with a different form factor which will dominate the tablet market later this year. not to beat a dead horse, but they shouldn't have chose to name it windows rt, it just confused the general public. Microsoft doesn't seem to be naming things very clearly/well lately. Nice to see they got an increase from Windows Phone. Typo in the first sentence Michael. Q4 of 2013 hasn't passed yet. Microsoft goes on fiscal quarters, which end in June. So, for MS it's Q4, but for Google and others, it's Q2. Windows is the best for my needs ! Best regards! I changed to 'Best regards! ', sounds better mate... Best regards! I knew that Windows RT was a failure from day one. Now if they can make a semi-powerful Windows 8 (the real windows 8) tablets at a decent price that is a different story. The current crop of Windows 8 with Atom is not making me pull out the wallet. Windows 8 RT is a joke! Please Please Please get rid of Windows 8. Keep the OS for mobile only!!! RT cost 300 USD and Pro cost roughly a mind-boggling 850 USD in my region, crazy prices. MS, at least now drop the idea of making a phone for yourself, and let the hardware giants take care of it! And for heaven's sake, make your OS complete. Everyone is ignoring Microsoft's history. When they developed Word and Excel, he market was completely dominated by WordPerfect and Lotus. They weren't given any chance. Look how that turned out. When they released SQL Server, it was roundly booed as a poor excuse for an enterprise database. Look where they are now. It remain to be seen how everything will turn out, but I wouldn't write them off just yet. As I've said before, I have an Android phone and a Windows phone. I always see comments from android fans about WPs not having the latest specs - quad core processors, etc. I can tell you if you based your evaluations on PERFORMANCE, specs wouldn't enter the coversation. The WP performance is much, much better than the Andoid phone. Don't call me a fanboy because there are a lot of things I like about Android. But, facts are facts . . . .
That would depend entirely on what Android and WP devices you have. Which ones do you have, if you don't mind my asking? I have an HTC One, Nexus 4 and Nexus 7 tablet. My brother has several Nokia Lumia phones and a Surface Tablet. And I can tell you that my Android devices are just as fluid and responsive, if not moreso, than his WP devices. As MS continues to roll in multi-billion dollar profits, it will help to soften the blow of products that go "thud". Windows 8 tablets are going to be the future, but WinRT was supposed to be the low end, inexpensive alternative. No one has bit, yet. Now, MS, how do you adjust to what the market is telling you? MS, say thanks to Nokia Lumias.